When a loved one dies, the funeral ceremony offers a formal way of saying goodbye. These services can often be personalized in order to reflect the individual's life. 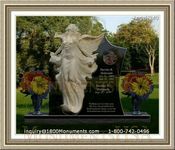 You can find help through the personnel at the mortuary who prepare the body. When planning the service, consider the music you will use. You may opt for live music, through voice or instruments. Other options include the use of recorded music, which is growing in popularity. Most of the time, there is a eulogist or officiant at the service. This individual may be a member of the clergy, a friend or family member. It is generally the responsibility of the family to communicate with the individual to officiate the service. 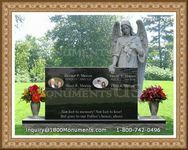 If help is needed in contacting an appropriate individual, the mortuary can provide assistance. If planning a religious service, keep in mind some groups are more specific in what should be included than others are. If your family member was a member of a fraternal group or in the military, these groups may take part in the service. Some fraternal groups offer services that are specific to the organization. Veterans groups may provide a final playing of taps, a 21 gun salute and present a flag to the survivors. The decision to have a viewing before or after the service is at the digression of the family. In some locations, the viewing is considered traditional, while in others it is not. Regardless of local tradition, the family has the final say in these regards. The process of saying goodbye is difficult. For many, it is an important part of the process of grieving the loss. If possible, talk with loved ones before their death to determine what they want in terms of a funeral ceremony. 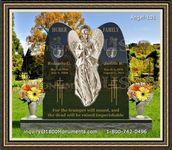 This makes it easier to plan a service you know your lost loved one would approve.